Another pre-CES announcement out of Samsung’s PC department less than a week ahead of the show. 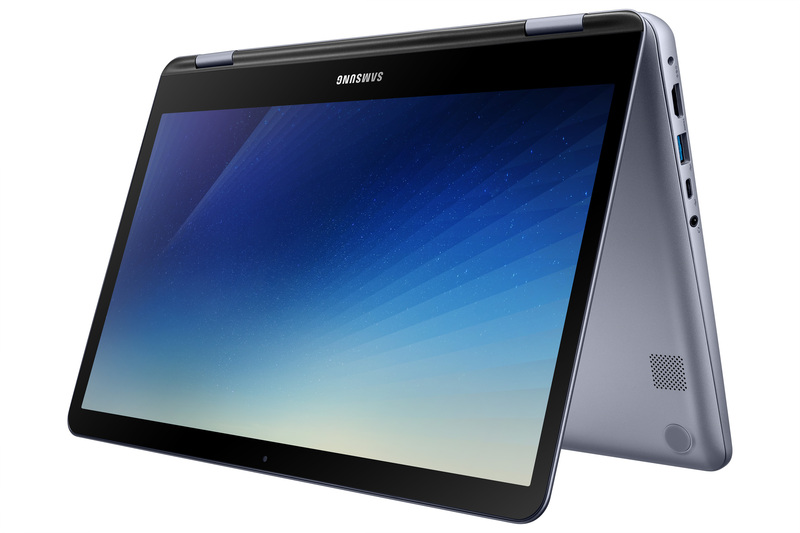 This time it’s a refresh to the Notebook 7 Spin, a convertible tablet with a 360-degree 13-inch display. It’s a update to last year’s well-received model that garnered solid reviews for packing a decent amount of firepower in under $1,000. The new device joins the new Notebook 9 refresh announced a few weeks back. Along with the swiveling screen, there’s a lot of similar functionality on board here, including, naturally, a stylus –referred to as an Active Pen in this iteration (Samsung’s got a whole thing with stylus names). Other notable features include built-in voice recording using far field mics (which should also help it play nicely with Cortana) and a fingerprint scanner that connects to the company’s secure folder tech, for those super secret-files you don’t want the rest of the family to get ahold of. There’s a quad-core i5 chip on board, along with 8GB of RAM and 256GB of storage. It’s not an exceptional system by any measure, but it’s fairly well-rounded. Unlike the Notebook 9, the Spin looks like it’s only available in the single configuration at launch. That’s expected to happen some time in the first quarter of this year, with still unannounced pricing. Assuming the company keeps things under a grand, the notebook should make a pretty solid choice for college students in need of a decent amount of bang for their buck. As for whether the company has much more to announce at CES next week, it’s hard to say. Certainly there’s more coming on the appliance front, but the consumer electronics division looks as though it might be tapped out. Samsung’s clearly got some new handsets raring to go, but the company will likely either use Mobile World Congress or one of its own events as a launch pad.